Flowers and tools will be provided. Your registration is only confirmed after payment is completed. All confirmed/paid slots are non-refundable. Reserved/unpaid slots will be released if the payment is not made within 2 days. Tag your photos with #scentalesworkshop on Instagram. 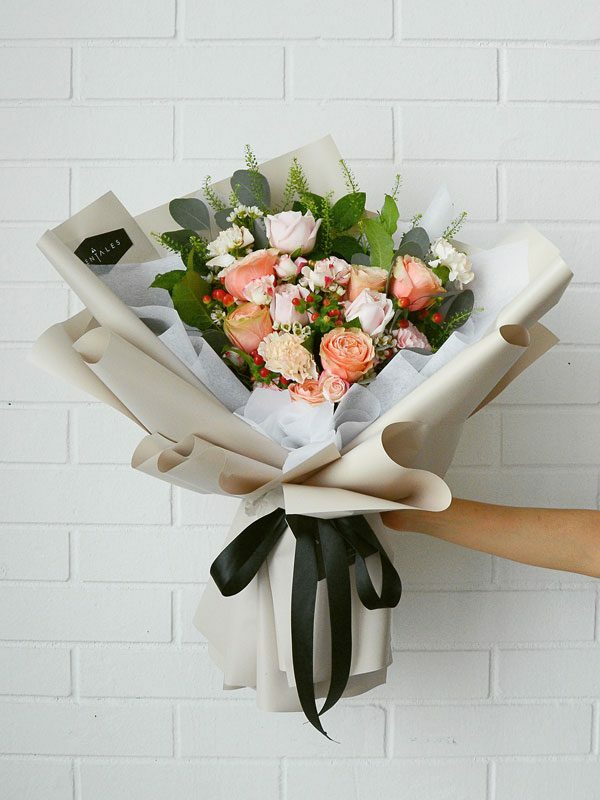 Scentales is an online florist located in Damansara Perdana, Petaling Jaya (PJ). We source for the freshest and highest quality local flowers and imported flowers to design our bouquet. We specialize in bringing a modern and creative twist to our hand bouquet and products. We also provide floral services to weddings, events, table and vase arrangements. We provide same day delivery service to a vast part of Klang Valley areas, including areas such as Petaling Jaya (PJ), Kuala Lumpur (KL), Cheras, Subang Jaya, Ampang, Seri Kembangan, Puchong, Shah Alam, Klang, Cyberjaya, Putrajaya and more. 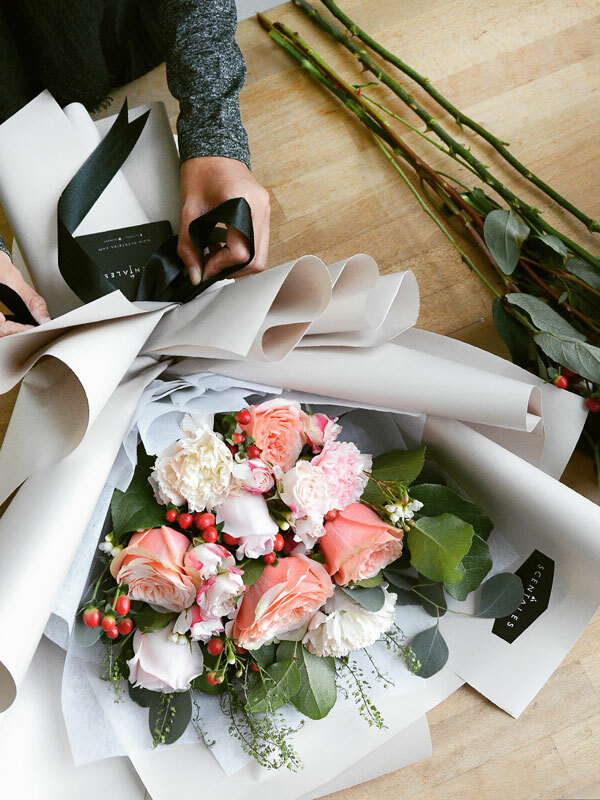 We have just the right flowers for gifting to anyone in any occasions. It doesn’t matter if you are buying for men or women, girlfriend or boyfriend, best friend or family, we have just the right flowers for your loved ones. Our products price caters to all kinds of budget, from cheap and affordable to luxurious bouquet. We also have designs that are suitable for all kinds of occasions like Valentine’s Day, Mother’s Day, Father’s Day, Christmas, Chinese New Year, anniversary, birthday, proposal, graduation, surprise, condolence and sympathy. We use a wide range of flowers in our products, including roses, baby’s breathe, lily, carnation, hydrangea and more. From time to time, we also design limited edition and seasonal special designs that are available for a limited period using premium flowers, imported flowers or seasonal flowers like tulips, dahlia and even peony. We also have several of signature products that are setting the trend in Malaysia florists. One of the designs is our modern flower stand, which is a grand designer bouquet that blooms on an opening stand. Another of our signature product is our cute gift box - our character kraft bag flower box designs. Not to forget our creative bunny flower ping pong and graduation bunny flower ping pong that is suitable to add on to any bouquet and flower design. If you are someone who are romantic and prefer everlasting love, we also have our dried flowers series that are everlasting and last forever. © 2018 Scentales (002598835-X). All rights reserved.